Info: : The .AC.TJ whois server gives wrong info, please contact us. 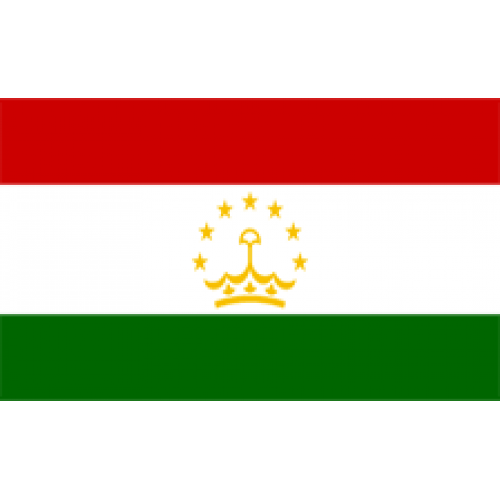 Description: .TJ is the website extension for Tajikistan. Tajikistan is a tiny Asian nation that is known for its mountainous reg.. Description: .aero.tj: AERO.TJ is the website extension for Tajikistan, the mountaineous country in Central Asia. The .AERO.TJ domain ext.. Description: .COOP.TJ is the website extension for Tajikistan, the mountaineous country in Central Asia. The .COOP.TJ domain extension is.. Description: .COM.TJ is the website extension for Tajikistan. Tajikistan is a tiny Asian nation that is known for its mountainous re.. Description: .CO.TJ is the website extension for Tajikistan. Tajikistanis a tiny Asian nation that is known for its mountainous reg.. Description: .BIZ.TJ is the website extension for Tajikistan. Tajikistanis a tiny Asian nation that is known for its mountainous reg.. Description: .DYN.TJ is the website extension for Tajikistan, the mountaineous country in Central Asia. .DYN.TJ is a second level domain .. Description: .EDU.TJ is the website extension for Tajikistan, the mountaineous country in Central Asia. .EDU.TJ is designated for the e.. Description: .GOV.TJ is the website extension for Tajikistan, the mountaineous country in Central Asia. .GOV.TJ is designated for the g.. Description: .GO.TJ is the website extension for Tajikistan, the mountaineous country in Central Asia.The .GO.TJ domain extension is in.. Description: .INFO.TJ is the website extension for Tajikistan, the mountaineous country in Central Asia. .INFO.TJ domain name extension i.. Description: .INT.TJ is the website extension for Tajikistan, the mountaineous country in Central Asia. .INT.TJ is designated for individ.. Description: .MUSEUM.TJ is the website extension for Tajikistan, the mountaineous country in Central Asia. The .MUSEUM.TJ domain extens.. Description: .MIL.TJ is the website extension for Tajikistan, the mountaineous country in Central Asia. Military Organizations in Taj.. Description: .MY.TJ is the website extension for Tajikistan, the mountaineous country in Central Asia. .MY.TJ is a second level domain, w.. Description: .NAME.TJ is the website extension for Tajikistan, the mountaineous country in Central Asia. .NAME.TJ extension is generally .. Description: .NET.TJ is the website extension for Tajikistan. Tajikistanis a tiny Asian nation that is known for its mountainous reg.. Description: .ORG.TJ is the website extension for Tajikistan. Tajikistanis a tiny Asian nation that is known for its mountainous regions. To.. Description: .PER.TJ is the website extension for Tajikistan, the mountaineous country in Central Asia. The .PER.TJ domain extension is i.. Description: .WEB.TJ is the website extension for Tajikistan, the mountaineous country in Central Asia. .WEB.TJ is typically offered to b..